GUNTERSVILLE, AL (April 24, 2017) – Steve Doty of Jonesboro, Ark. and Tracy Robinson of Gadsen, Ala., added 15.68 pounds to their tournament-best Day One weight of 23.46 pounds to beat over 250 teams and win the 2017 Bass Cat Owners’ Invitational on Alabama’s Lake Guntersville. Sebastian DeRoy of Orillia, Ont., and Christopher Martin of New Hope, Ala., had 15.64 and jumped from 3rdplace to 2nd, but it was not enough to catch the leaders. Doty and Robinson made it look easy, going wire to wire, but they had their struggles along the way. Yesterday, they had two fish for 12 pounds in the boat before the second flight came through. Today, they were in the last flight and rushed through rough water to their first spot only to find a boat not in the tournament sitting smack dab on the juice. The operator confirmed that he already had a 6 pounder a 5 pounder in the livewell. They didn’t catch a large number of keepers either day – 8 or 9 on Friday, and 7 or 8 on Saturday – but they stuck with a game plan that produced quality over quantity. For the win, Doty and Robinson won a 2017 Bass Cat Margay and matching trailer. 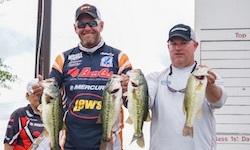 The big bass of the tournament weighed 7.44 pounds and was caught by the Batesville, Ark., team of Le and Littleton on Day Two. In the various “trash fish” pots, the Wisconsin team of Rautenberg and Delaney won the striper pool with a 3.46 pound specimen, and the Alabama team of Carter and Fish caught the largest perch. About Correct Craft:Celebrating 92 years of excellence in the marine industry, Correct Craft is a Florida-based company with global operations. 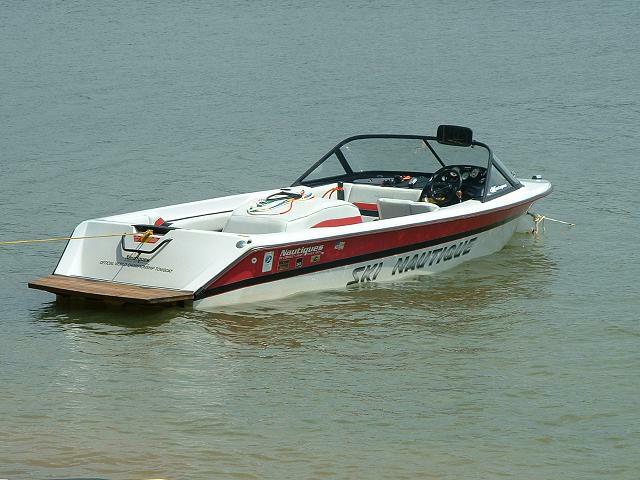 The Correct Craft family includes Nautique, Centurion, Supreme, Bass Cat, Yar-Craft, SeaArk, and Bryant boat companies, Pleasurecraft Engine Group, and Aktion Parks. For more information please visit www.correctcraft.com.